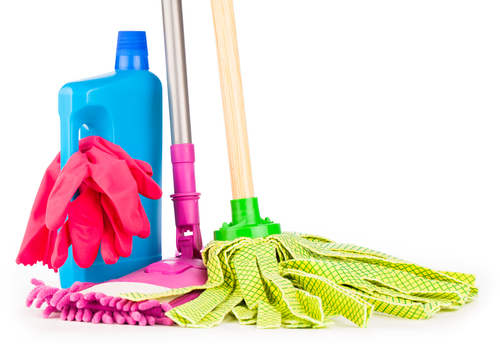 Auntie Cleaner Singapore: Where Can I Find Ad Hoc Cleaning Services? Where Can I Find Ad Hoc Cleaning Services? Singapore is a unique country with a unique population. Flying into Singapore’s Changi Airport and seeing Singapore from the air and you’ll be struck by how many high-rise apartment blocks have sprung up since the last time you saw looked, with new construction projects rising up all the time. The Singapore lifestyle is one that revolves around the fact that almost a quarter of the population consists of foreigners. And, a large percentage of the total population consists of millionaires. This means that Singapore is a big business country and people transfer in and out of it constantly. With so many business people coming into the country for a limited time, it’s inevitable that the question of where to find ad hoc cleaning services would be raised by recent arrivals, as well as residents who are simply too busy maintaining their hectic schedules and find that they need help maintaining their homes and businesses on an ad hoc basis. The answer is that ad hoc cleaning services can be found easily online, and they are located all over the island to serve Singapore from Changi to Jurong. For single recent arrivals and young single business professionals alike, home is often one of the scores of recently constructed high-rises along Singapore’s east and west coasts. These prime high-rises offer convenient access into the central business district. These apartments offer lush gardens, swimming pools and health and fitness centers. But, what they don’t offer is ad hoc cleaning services. The lifestyles that these large numbers of business people are leading, means that they are often living in smaller apartments. They come home tired at the end of a busy day and they often lack the strength or drive to do much more than pick up a take-out dinner from Cold Storage or a hawker stall and zone out in front of the TV. They don’t have the room, ora need for the services of a live-in maid.But, these busy people are tired at the end of a long dayand they still have apartments that need to be maintained, shopping that needs to be done, and laundry that needs to be dry-cleaned and laundered. Ad hoc cleaning services are the answers to the prayers of busy business professionals. They’ll work to your schedule and assist you in taking care of your needs to allow you do the things that you need to do. They’ll take care of all of your cleaning services from washing your windows to mopping and cleaning your floors. They will deliver and pick up your dry cleaning from the cleaners, and wash your laundry. They’ll make your bathrooms sparkle, and clean up the dishes in your kitchen sink that you were too tired to deal with last night. In short, they will be your temporary maid, and make your life so much easier, that you’ll wonder how you managed without them. Singapore has a long tradition of maid services going back to the birth of the country. Women from all over the ASEAN region and central Asia seek out maid positions in Singapore. But, hiring a maid entails entering into a long-term contract that contains government-enforced rules and regulations. And, at times, the person seeking some sort of cleaning services won’t know how long they will be staying in Singapore. This is where the ad hoc cleaning service fills a niche in the country’s cleaning and maid service needs.Most people know that they need their homes cleaned every week and their shopping and laundry taken care of on a regular basis. But, if the person travels on a regular basis, a live-in maid service just doesn’t seem like a worth-while arrangement, as the business traveler will be paying for the maid’s services whether he is using them or not. Using the services of an ad hoc cleaning service, on the other hand, means that the service can be employed when the customer has a need for it, and rescheduled when they don’t. The customer can choose a service that they are comfortable with and can get to know. And, the ad hoc cleaning service can get to know the customer, learn what their preferences are, and increase the value of their services making the customer even more grateful to have their services after a long trip out of town. New mothers are also targeting ad hoc cleaning services. Some women that have always been the one to maintain their own homes soon find that they are a little bit overwhelmed when a new baby arrives on the scene. Ad hoc cleaning services can step in to relieve the new mother of her cleaning, laundry and shopping duties, and provide all these services in order to give the new mother precious time to spend with the new arrival. 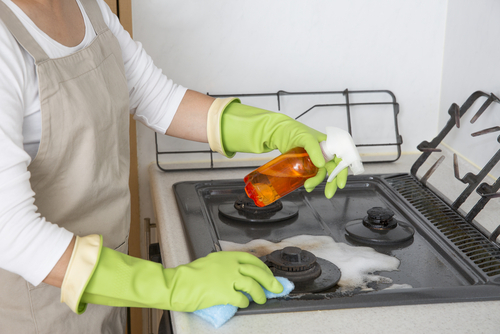 This situation can also be applied to someone who is single and has recently suffered an injury or illness that has disabled them and needs a bit of help to take of their domestic chores. An ad hoc cleaning service can step in to provide their services and allow the patient valuable time to recuperate. 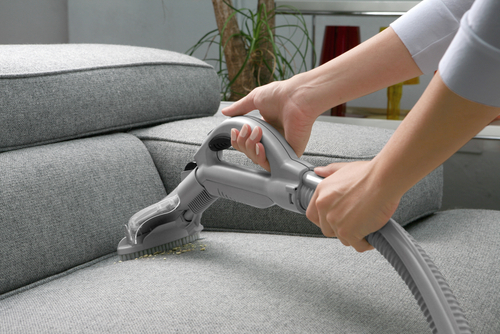 The services that ad hoc cleaning services can offer cannot be just confined to cleaning. There are child-care and baby-sitting services that have become branches of successful ad hoc cleaning services on the island. And, these ad hoc cleaning services are continuing to branch out and discover new areas in which to help the citizens of Singapore cope with their daily lives. As Singapore continues to grow and expand in their business and housing sectors, a quality Ad hoc cleaning service will be assured of a bright future by continuing to offer prompt, personalized cleaning services that feature an eye for the details, and offer something extra that the customer doesn’t think that they need until they’re offered it. New apartment buildings have to be built farther and farther from the CBD as the available land for construction decreases. This means that commute times for these weary workers will likely increase even with new lines of the MRT still being added to the system. For these workers, an ad hoc cleaning service will be a lifesaver.